ALSCCA events are held at Oak Mountain Amphitheater @ 1000 Amphitheatre Drive Birmingham, AL. TAC/TVR doesn't require SCCA memberships (weekend or otherwise) since it is ran under private insurance. Hope everyone can make it for a few events. I hope to see some of you guys out there with us! C and I will make a few trips to MFS and are usually at every ALSCCA event in bham, with multiple other evos. Feel free to join us for some ride alongs for your first time. We always have a passenger each run. Or better yet come compete with us!!! It will be fun this year. Cold air makes more power, cold tires make more laughs. So how does Saturday work? Same kind of set up where you make 4 runs and work, then do it again after lunch? Are you looking forward to running on the asphalt at Milton Frank Stadium? Want to try out the new parts that you got over the winter? Dial in the suspension for 2013? Scrub off the rust of winter? For the T&T I will have two similar courses, one timed and the other not, laid out for suspension tuning. We will work in shifts and otherwise run if not working. Work assignments will be scaled to the attendance. Lunch will be when you want to eat when not working. Annnnd I backed out of this one. It's just too cold for me. temps dropping even more with snow chances Maybe it will warm up for April and I'll make my way out to MFS. You have an AWD car right? And you worried about the weather? No comment. I, myself, am not built for this cold weather stuff. Freeze to death outside in 30 degree weather with winds. Did it last weekend and it wasn't fun lol. 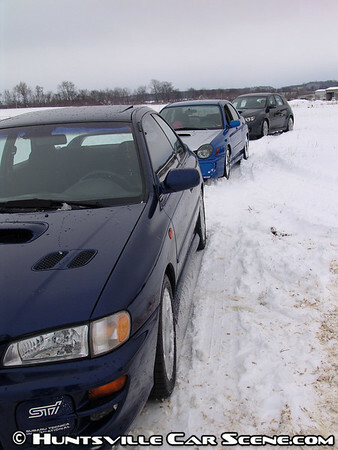 Remember you're only running half the time, the other half you're standing there holding a radio or shagging cones It's "fun" when it's cold sliding around and all, but you can't learn as much about your car wen the tires and surface are froze=zero grip. RS3s no like zee cold stuff. I will be out to MFS when the arm weather shows up... like at least above freezing, helps my feelings hope some of you will come out and join me! Also, next event at ALSCCA is March 9th. Last edited by HPEVOX; February 26th at 08:26 PM. I'm out as well unless the weather drastically changes. Yeah they are calling for snow flurries on Saturday with a high of 37. I would not want to stand out in that either. Not only that I was half way debating on taking the Z06 out. I've made that mistake once when it was about 35...........long story short I've never been so ill in my life. The car just has to much torque to try and push at all in when it's that cold (unless you drive like you have a baseball under the gas pedal). No I've driven about 30 miles through 6-8" of snow so it's not the car lol it's my pansy self. I hate cold lol. Yeah even being AWD last weekend I was losing traction everywhere even in straight lines. Like I said its fun for a while, but I like grip and going faster opposed to turning it into a drift event. My Cooper is finally ready. Cant wait until Saturday. I went from FWD to AWD. I'll stay in this camp if at all possible lol. Your car was the best sounding STi i've heard, hate to hear it's gone. Started to get unreliable and believe it or not it was my family car. Sold it to a local guy so it will still be around. Was in the Subaru game for 10 years and needed something more practical and thanks for the compliment sir. Ahhh...you reminded me of this wonderful snow day a few years ago. Such good times. Your car was the best sounding STi i've heard, hate to hear it's gone. I second that. I loved that sound. Made it look like a Cayenne Turbo from the back with those meaty pipes. ...to turning it into a drift event.